Featured here are a couple nice examples of Westmoreland's Pattern 89. 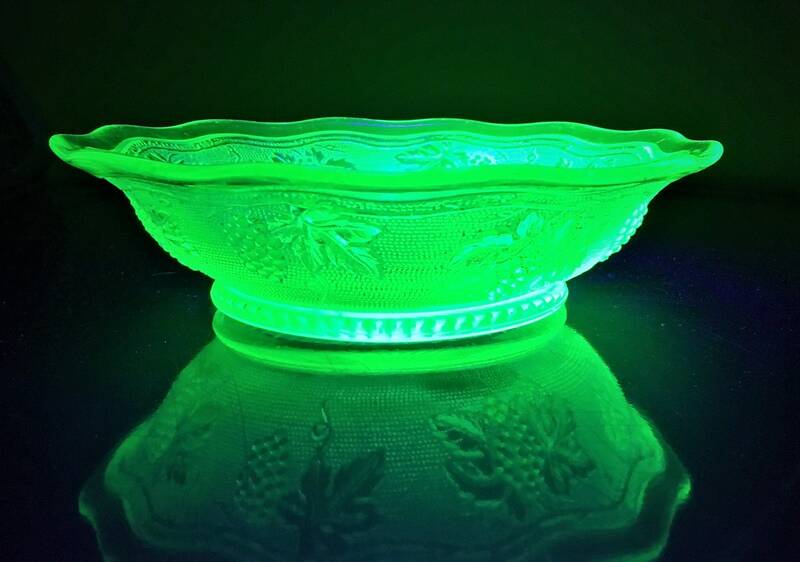 This green Depression Glass is also known as Woolworth Green and sometimes as Stippled Grape. 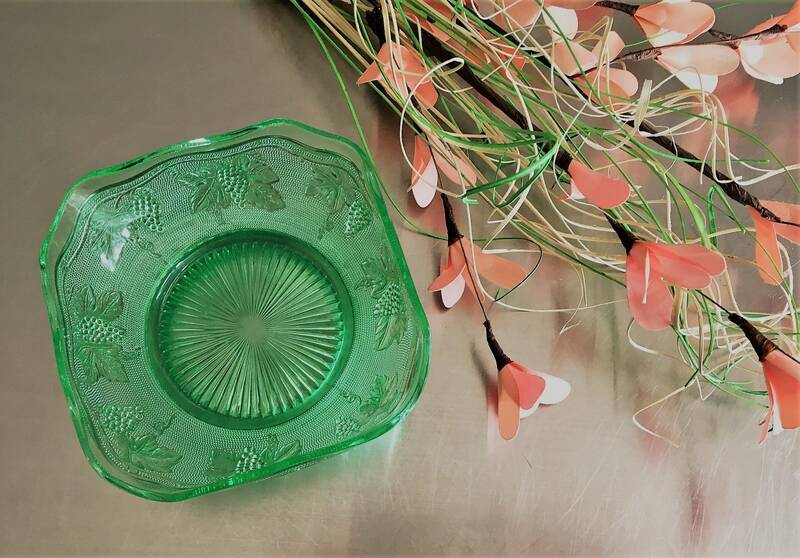 This pattern was produced in the 1940s and sold at Woolworth Five and Dime stores. 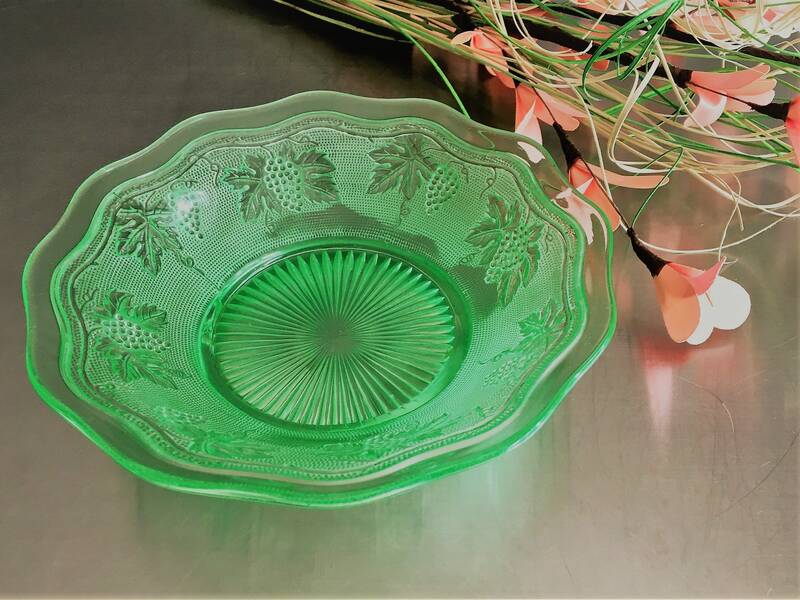 The square bowl is the Fruit Bowl (5 1/4 inches) and the round one is their Belled Bowl (7 1/2 inches). Features grapes and leaves in heavy relief. 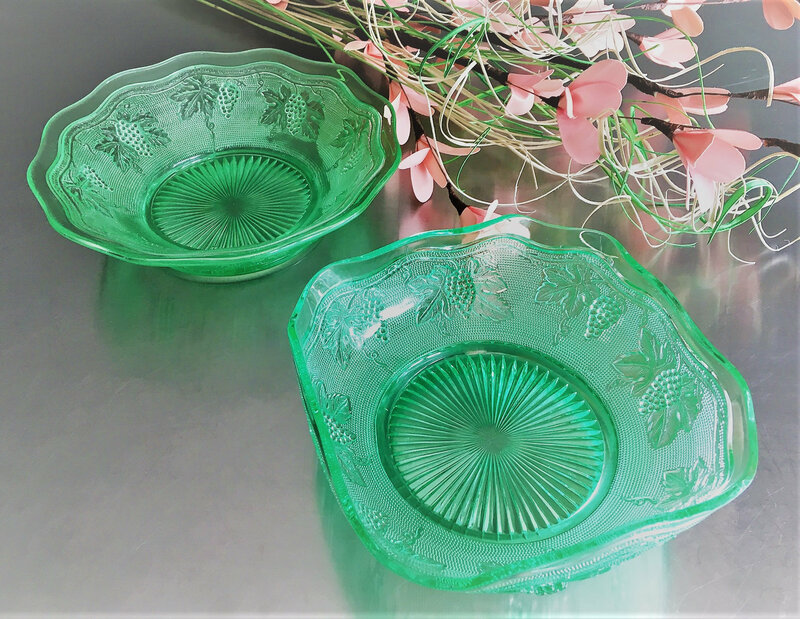 These are not perfect pieces, but still in good vintage condition. 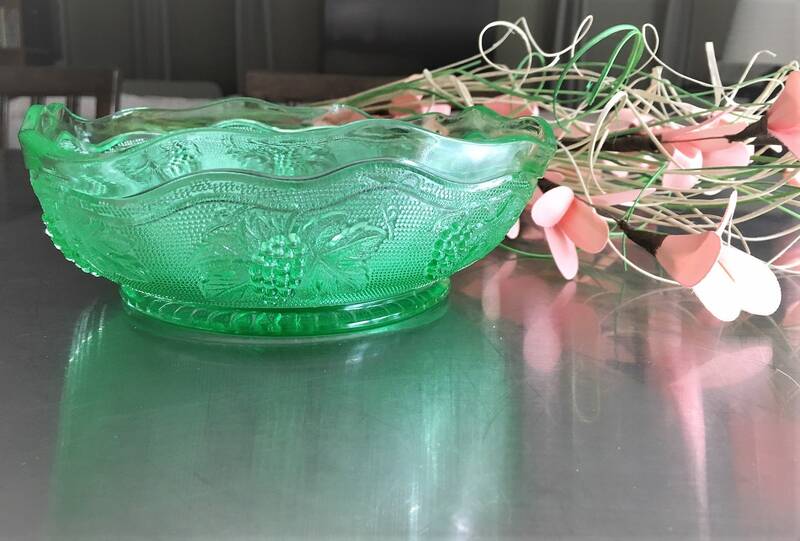 The Belled bowl has a 1 inch chip on its footed base and the Fruit Bowl has a couple small fleas bites along the rim. Price has been significantly reduced accordingly. 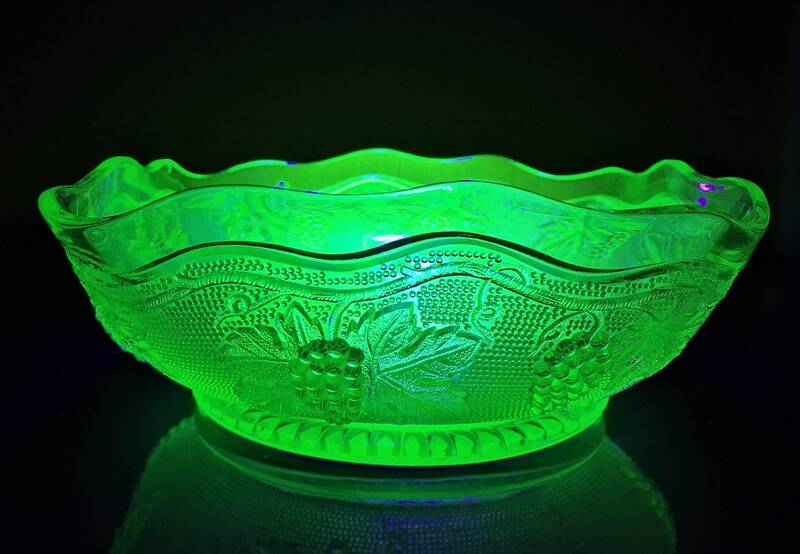 Wonderful glow under UV light (see photo).